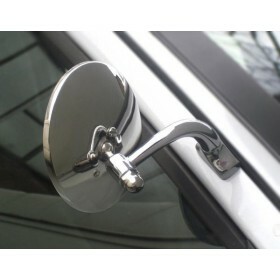 A superb stainless steel replacement door mirror which fits the existing hold fixing and comes with a new rubber seal. 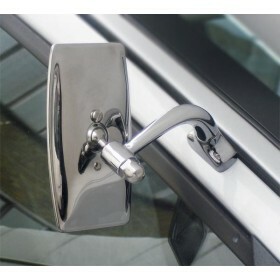 The Halcyon 991 is a superb stainless steel replacement door mirror to go in place of the unpopular factory-fitted door mirror. 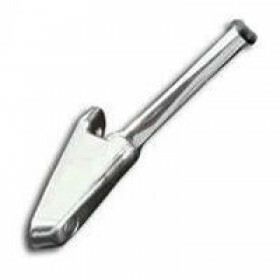 It is made to fit the existing hole fixing and comes complete with a new rubber seal. 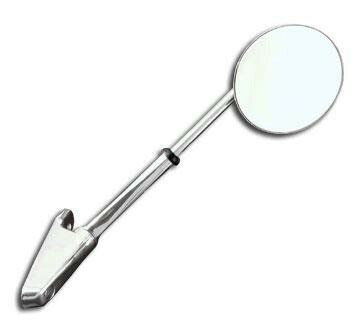 Accepts either the Morgan or the Halcyon stem mirror.